Every Workplace product is designed, configured, and built at our factory in Londonderry, New Hampshire. With both manufacturing and sales located at our factory, you are guaranteed to get exactly the product you have configured and ordered. There are no middlemen, no markups, and no confusion. And if you encounter any problems, we will make it right. Fast. Call 800-258-9700 (within the USA and Canada); or 603-622-3727. Our Design Specialists are available Monday through Friday from 8:00 am to 5:00 pm Eastern Time, and they will be pleased to help with your order. Download the Workplace Standard Terms and Conditions of Sales. 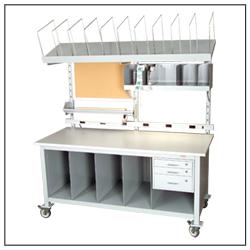 Quick-Ship workstations and accessories will be shipped less than 14 days from receipt of order. Call your Design Specialist for further information or to confirm your specific shipment window at the time of order. Click here for available quick-ship items. 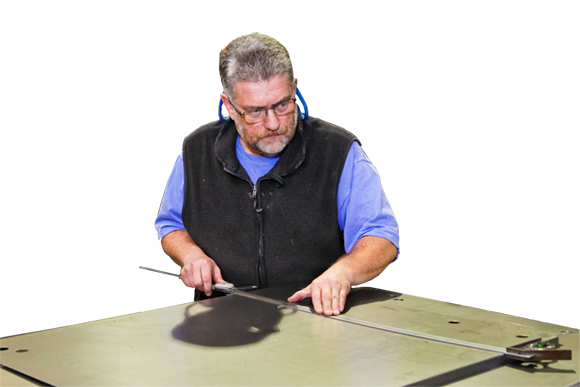 Our standard manufacturing lead time is 30 to 45 calendar days. In some circumstances we may have the ability to respond to urgent shipment requests. Call your Design Specialist for further information. Workplace can solve most of our customer needs with standard product solutions. If a custom design is needed, we are more than willing to meet the unique customer requirement. Call your Design Specialist for further information. Changes may be made if the order has not yet been released to production. However, a change order charge may apply, and the change is likely to delay the original ship date. For this reason, it is important that we receive all information about your configuration prior to entering your order into our manufacturing scheduling system. All Workplace products are configured and built to order. Therefore, cancellations cannot be accepted after the order has been released into production.